Car dealers are people too! And, like all employers, you employ people. Part of the employment process for all employers is strict adherence and compliance with the I-9 process. The new hire doesn’t actually get to “go to work” for the dealership unless the I-9 form is correctly completed, and the employer includes specific required documentation and complies with time limits that both the prospective employee and the employer must adhere to. In an audit, an employer with sloppy I-9’s can land in a world of hurt in a hot minute. Even though the Immigration Reform and Control Act was enacted in 1986, many employers still fail to realize the importance of I-9 compliance or the impact it may have on their business. However, this should be their primary concern because of the broad range of I-9 compliance violations resulting in different penalties the U.S. Immigration and Customs Enforcement (ICE) can impose on them. I-9 paperwork violations range from $224 to $2,236 per violation. During the Trump administration, there has been an increase in employer investigations and audits, especially when it comes to industries that typically employ a large percentage of immigrants. Hence, in the current environment, immigration compliance is a business necessity. Organizations can prevent errors, identify areas for improvement, and minimize the risks of future violations and penalties only by establishing comprehensive and effective compliance program. The purpose of ICE inspections is to identify violations that might lead to criminal prosecution as well as substantive or technical violations that might result in issuance of administrative fines or warning notices. The federal government distinguishes between technical errors and substantive violations. Failure to provide the date of rehire in Section 3. The federal government must provide employers at least 10 business days to correct technical violations after notification. If an employer fails to correct violations on time, it will be subject to fines. Failure to sign and date Section 3 as well as to date Section 3 of the Form I-9 not later than the date of the expiration of the work authorization. Use this comprehensive guide to I-9 verification to ensure a thorough understanding of the laws and regulations that must be followed in order to prevent a business from creating I-9 compliance violations. U.S. employers have seen a significant increase in ICE I-9 inspections as part of the agency’s program intended to create a culture of compliance among employers. Employers can be subject to civil and criminal penalties due to I-9 compliance violations. Civil fines for I-9 paperwork violations range from $224 to $2,236 per violation, depending on whether the employer has committed repeated violations. Penalties for knowingly hiring or continuing to employ an unauthorized worker range from $559 to $22,363 per worker. ICE can further increase penalty amounts if there are aggravating circumstances. Criminal penalties are possible if an employer has engaged in a pattern or practice of knowingly employing unauthorized workers or has committed other serious violations. In determining penalty amounts, ICE considers five factors: the size of the business, good faith effort to comply, seriousness of violation, whether the violation involved unauthorized workers, and history of previous violations. Use this step-by-step guide to find out how to strengthen your immigration compliance programs, avoid a broad range of penalties and prepare for I-9 audits. Although employer enforcement actions marked previous administrations as well, increased budget for the Department of Homeland Security, expanded E-Verify funds and enforcement-related hiring are a clear sign of the new administration’s renewed enforcement approach. Therefore, employers need to undertake necessary steps to prevent I-9 compliance violations and prepare for Form I-9 audits. Instead of viewing the Form I-9 as a simple administrative formality, employers need to make sure to capture all the relevant employment authorization documents, standardize I-9 procedures across their organizations, stay up-to-date with federal laws and policies and E-Verify, and conduct self-audits. Finally, employers should consider automating their compliance process. Electronic I-9 software helps minimize risk with its control mechanisms, easy access to stored I-9 forms, automatic notification of employment authorization expiration dates, integration with E-Verify, and data security measures. I-9 presents many pitfalls for employers and, in light of recent enforcement activity, it is critical that employers comply with the regulations related to I-9 completion, storage and retention. That is why automated I-9 systems are the optimum solution. They allow employers to prevent common and complicated mistakes made by manual verification processes, ensure high level of compliance with I-9 and E-Verify laws and reduce hiring costs. Emptech, based in Torrance, CA, has offices nationwide that assist in HR and payroll compliance. 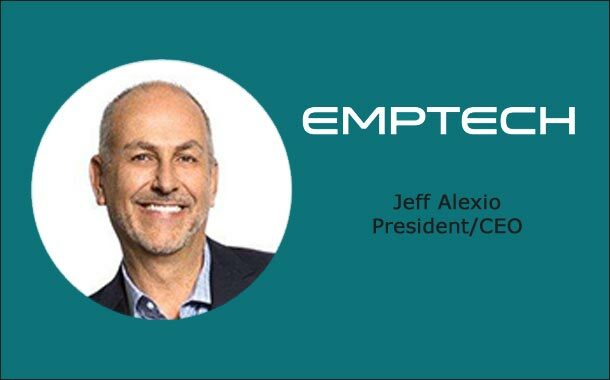 CEO Jeff Alexio can be reached at j.alexio@emptech.com or 1-310-787-8477 X107.